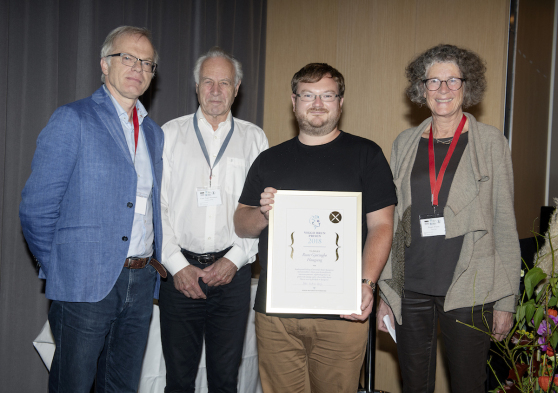 Dr. Rune Haugseng, research fellow of the IBS Center for Geometry and Physics is named as the winner of Viggo Brun Prize 2018 in recognition of his fundamental contributions to the theory of higher categories, leading to the development of higher Morita theory and enriched ∞-categories. His research is deemed to have applications to quantum field theory, representation theory, algebraic geometry, and geometric topology. Higher categories is the study of structures that occur in many places in mathematics where some property typically only holds up to (a hierarchy of) equivalences that have to fit together. Haugseng’s pioneering work provides a platform for realizing several existing strategies for attacking central conjectures. Haugseng himself should be ideally placed to grasp these opportunities. Rune Haugseng (born 1984) is a Norwegian mathematician with BA and MA degrees from Cambridge University. He earned a PhD from Massachusetts Institute of Technology in 2013 with Haynes Miller as supervisor. He has held post-doc positions at the Max Planck Institute for Mathematics in Bonn and at the University of Copenhagen. Starting in the fall of 2019 he will be an associate professor at NTNU. *For the reference and more details, click here. 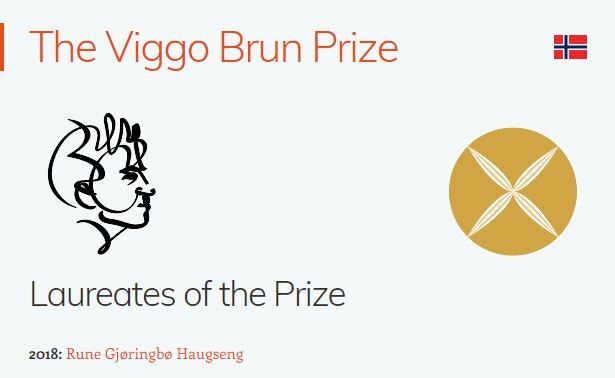 **About the prize, click here.